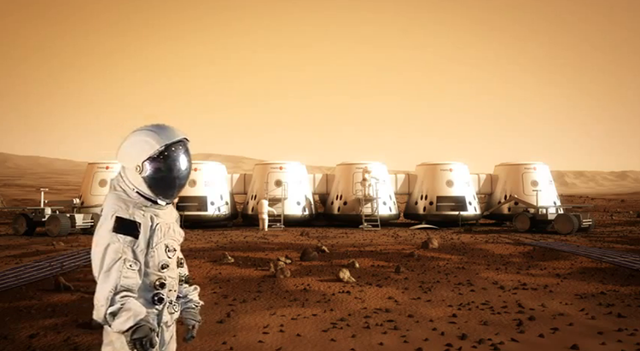 Life on Mars can’t become a reality without some serious design concepts and engineering. 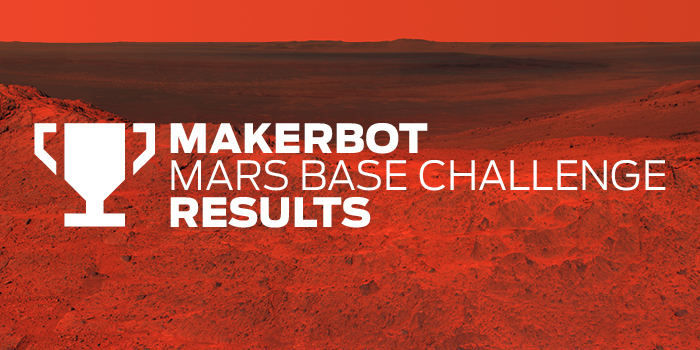 And that’s why Thingiverse, in cooperation with NASA’s Jet Propulsion Laboratory, conduct the Makerbot Mars Base Challenge every year. Taking Mars’ extreme conditions into consideration, people are tasked with designing a utilitarian Mars base that can withstand the elements and make settlers feel at home. The competition opened on May 30th and received some 227 submissions. The challenge brief asked entrants to take into account the extreme weather, radiation levels, lack of oxygen and dust storms when designing their Martian shelters. And the winning entries will each be awarded a MakerBot Replicator 2 Desktop 3D Printer in order to help them fully explore their designs for Martian abodes. And although the applicants did not always nail the science, their designs have a novelty that has not been seen in some time. 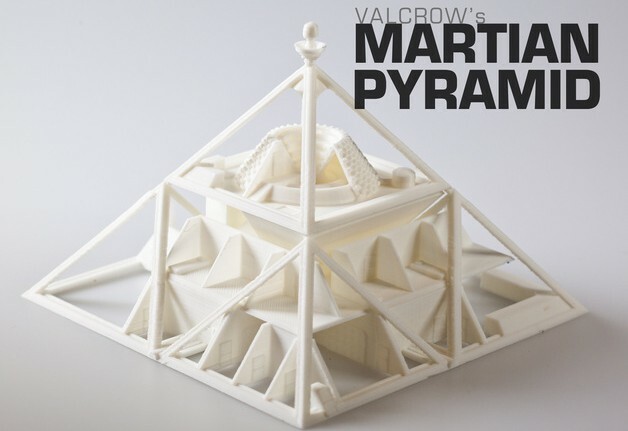 This can especially be seen in with this years finalists, which included a design for a Martian pyramid, a modular beehive and a three-tiered Acropolis. A toy car does not need fuel because it runs on the imagination of the child who drives it around. So it seems to me that I’m driving my toy car at full speed and you are here telling me what kind of fuel and oil it needs to run. I would rather leave the physics to the right people. Luckily, that’s what NASA is on hand for – to ensure that it’s not just the mathematicians and engineers that have an interest or a say in our Martian future, but to make sure those designs and dreams that come from the public meet the basic scientific and engineering requirements. Bringing together inspired ideas and realistic needs, here’s how this year’s finalists measured up. High traffic rooms all have ample natural Martian light to help with the crews extended isolation and confinement… This design focuses on looping essential systems into as many multi-functional roles as possible to ensure that the very limited resources are used and reused as much as possible. This includes food created through a sustainable aquaponics system which would sit at the top of the pyramid, where it can get some light. A mirror-based series of solar panels will be responsible for collecting energy, with a nuclear generator for backup, and water would be stored near the main power center so that it heats up. The whole thing is inspired by the Pyramid of Giza, but unlike that beauty it can be reconfigured for science or engineering tasks and experiments. This second design, known as the Queen B because of its modular beehive configuration, comes with all the mod cons and home comforts you might expect on Earth – a kitchen, two bathrooms, a garden, and a 3D print lab and decompression room. Its creator, Noah Hornberger, chose a flat-panelled, low-level design that would be cheap and easy to build and allow for less heat energy to be lost. The hexagon shape was chosen for its durability and ability to form modular designs. 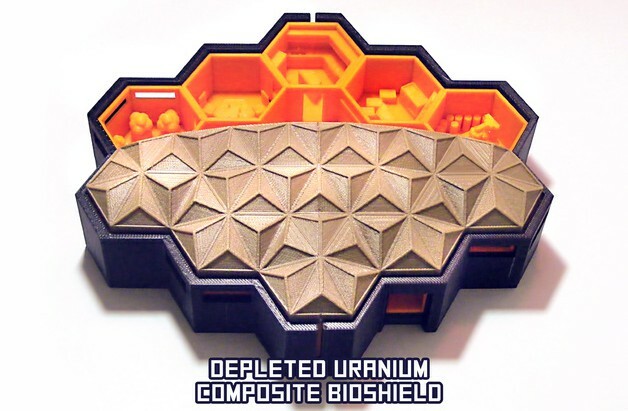 Depleted uranium would be used to create laminated panels that would shield out the elements, but would need to be sandwiched between other materials to make it safe for the occupants. An exothermic chemical reactor would meanwhile be used to heat an underground water container, which will provide heat for the basecamp. Excess steam could also power generators to supplement solar power. I have extrapolated on the idea of a fully functional apartment on Mars with all the modern amenities fitted inside 16-foot-diameter hexagons. I think that to present Mars life to people and actually make it appealing to the public it needs to feel like home and reflect the lifestyle trends of Earth living. And last, but not least, there’s the Mars Acropolis – a design that blends materials used here on Earth to create a classic futurist design that looks like it would be at home in the classic Fritz Lang film. Concrete, steel and Martian soil help form the outer wall that protects the population, while carbon fibre, stainless steel, aluminium and titanium would be used to build the main body. Three greenhouses contain the vegetation and help filter the air and produce oxygen, and there are decompression chambers at the entrance. On level two, residents can park their shuttles before entering the living quarters and labs, while level three acts as the nerve center – with flight operators and observation posts. It’s joined by a huge water reservoir that flows to the first level for purification. The structure serves as a mass research facility, to explore and develop means for additional colonization of the planet. Due to the water vapour contained in the Martian atmosphere, that vapour can be harnessed into usable liquid water, where the condensation is collected from the water vapour, which is filtered back into the reservoir. In all cases, the designs draw attention to the fact that any structures intended for life on Mars will have to achieve a balance between resource management, comfort and entertainment, and security against the elements. 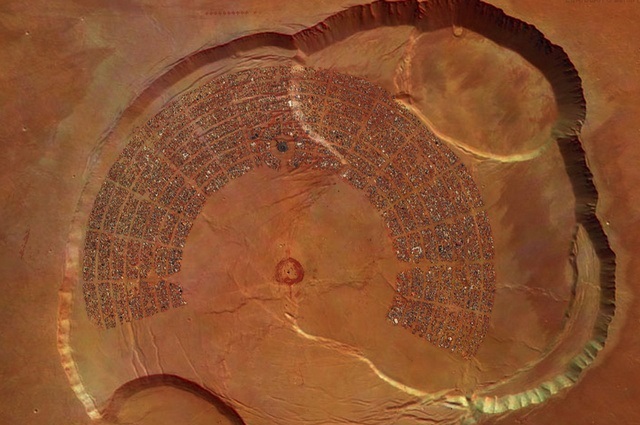 At this point, there’s no telling exactly what a Martian settlement will look like; but as always, the truth will likely be stranger than fiction. To see more designs that made it to the Mars Base Challenge this year, check out Thingiverse’s website. 3-D printing is pushing the boundaries of manufacturing all the time, expanding its repertoire to include more and more in the way of manufactured products and even organic materials. Amongst the many possibilities this offers, arguably the most impressive are those that fall into the categories of synthetic food and replacement organs. In this vein, two major breakthroughs took place last month, with the first-time unveiling of both 3-D printed hybrid fruit and blood vessels. The first comes from a Dovetailed, UK-based design company which presented its 3-D food printer on Saturday, May 24th, at the Tech Food Hack event in Cambridge. 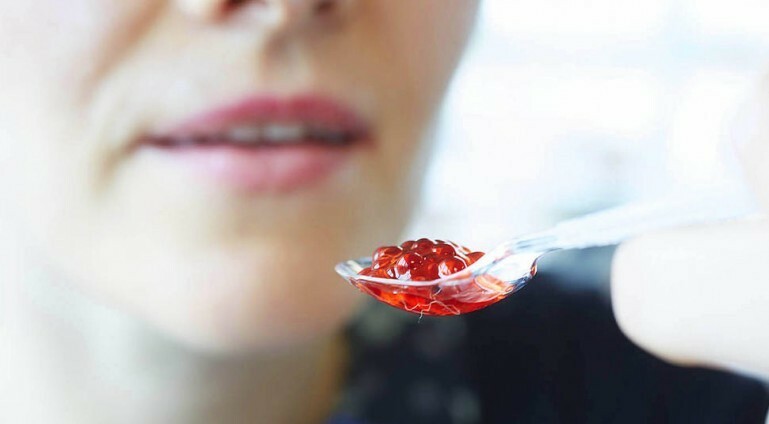 Although details on how it works are still a bit sparse, it is said to utilize a technique known as “spherification” – a molecular gastronomy technique in which liquids are shaped into tiny spheres – and then combined with spheres of different flavors into a fruit shape. According to a report on 3DPrint, the process likely involves combining fruit puree or juice with sodium alginate and then dripping the mixture into a bowl of cold calcium chloride. This causes the droplets to form into tiny caviar-like spheres, which could subsequently be mixed with spheres derived from other fruits. The blended spheres could then be pressed, extruded or otherwise formed into fruit-like shapes for consumption. Our 3D fruit printer will open up new possibilities not only to professional chefs but also to our home kitchens – allowing us to enhance and expand our dining experiences… We have been thinking of making this for a while. It’s such an exciting time for us as an innovation lab. Our 3D fruit printer will open up new possibilities not only to professional chefs but also to our home kitchens, allowing us to enhance and expand our dining experiences. We have re-invented the concept of fresh fruit on demand. And though the idea of 3-D printed fruit might seem unnerving to some (the name “Frankenfruit” is certainly predicative of that), it is an elegant solution of what to do in an age where fresh fruit and produce are likely to become increasingly rare for many. With the effects of Climate Change (which included increased rates of drought and crop failure) expected to intensify in the coming decades, millions of people around the world will have to look elsewhere to satisfy their nutritional needs. 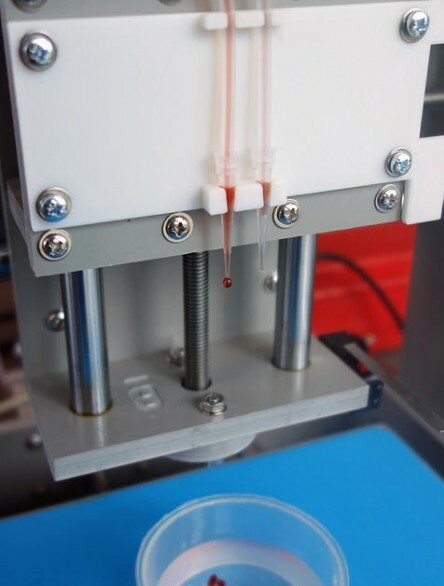 Meanwhile, in the field of bioprinting, researchers have experienced another breakthrough that may revolution the field of medicine. When it comes to replacing vital parts of a person’s anatomy, finding replacement blood vessels and arteries can be just as daunting as finding sources of replacement organs, limbs, skin, or any other biological material. 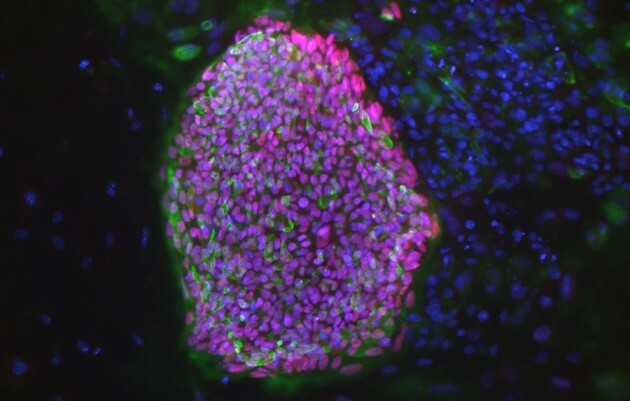 And thanks to the recent efforts of a team from Brigham and Women’s Hospital (BWH) in Boston, MA, it may now be possible to fabricate these using a bioprinting technique. 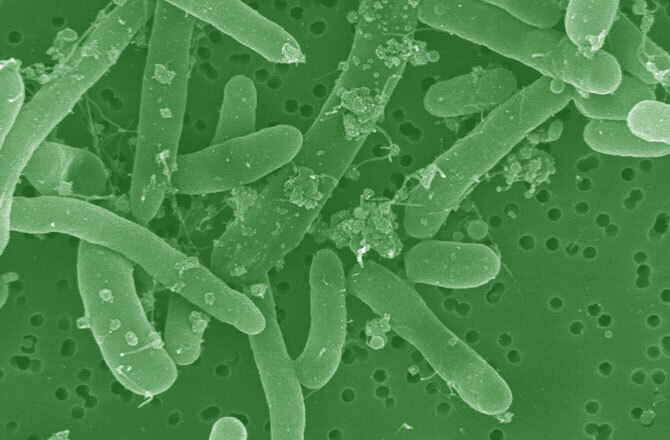 Engineers have made incredible strides in making complex artificial tissues such as those of the heart, liver and lungs. However, creating artificial blood vessels remains a critical challenge in tissue engineering. We’ve attempted to address this challenge by offering a unique strategy for vascularization of hydrogel constructs that combine advances in 3D bioprinting technology and biomaterials. The researchers first used a 3D bioprinter to make an agarose (naturally derived sugar-based molecule) fiber template to serve as the mold for the blood vessels. They then covered the mold with a gelatin-like substance called hydrogel, forming a cast over the mold which was then reinforced via photocrosslinks. Khademhosseini and his team were able to construct microchannel networks exhibiting various architectural features – in other words, complex channels with interior layouts similar to organic blood vessels. They were also able to successfully embed these functional and perfusable microchannels inside a wide range of commonly used hydrogels, such as methacrylated gelatin or polyethylene glycol-based hydrogels. 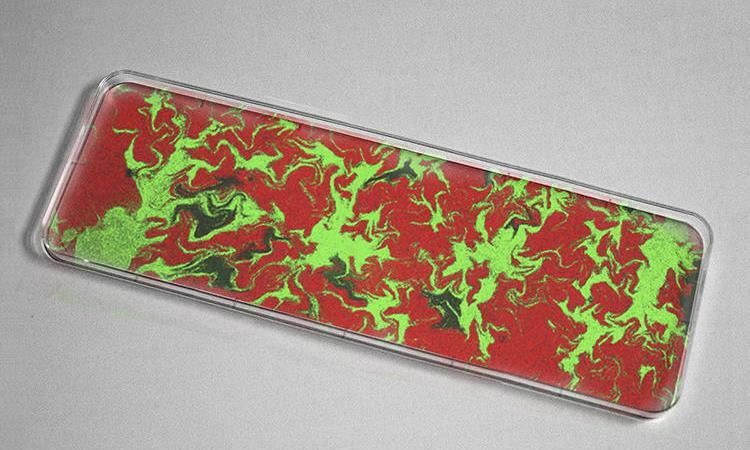 In the former case, the cell-laden gelatin was used to show how their fabricated vascular networks functioned to improve mass transport, cellular viability and cellular differentiation. Moreover, successful formation of endothelial monolayers within the fabricated channels was achieved. 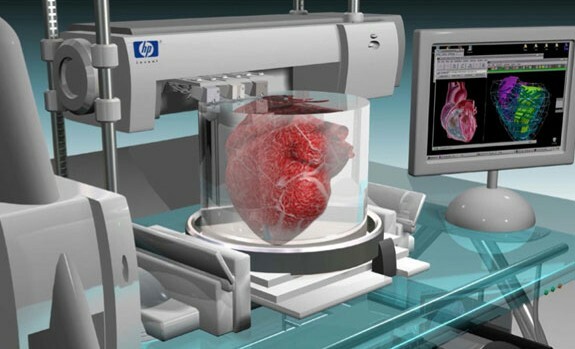 In the future, 3D printing technology may be used to develop transplantable tissues customized to each patient’s needs or be used outside the body to develop drugs that are safe and effective. Taken as a whole, the strides being made in all fields of additive manufacturing – from printed metal products, robotic parts, and housing, to synthetic foods and biomaterials – all add up to a future where just about anything can be manufactured, and in a way that is remarkably more efficient and advanced than current methods allow. When it comes to the future of medicine, its becoming increasingly clear that biomimetics and 3D printing will play an important role. Basically, this amounts to machines that are designed to mimic biology for the sake of making our bodies run better. In addition, it means that both medical machines and organic parts could be created on site, allowing for speedier, accessible and more cost-effective interventions and augmentations. For example, research being conducted at Harvard’s Wyss Institute for Biologically Inspired Engineering and the Harvard School of Engineering and Applied Sciences has led to the creation of artificial muscle that can imitate the beating motion of the heart – also known as the “Left Ventricle Twist”. This development, which is a big break in the field of biomimetics, could also be a game-changer when it comes to producing artificial hearts. Their research started with what is known as a pneumatic artificial muscle (PAM), one which was modeled after the striated muscle fibers found in the heart. Made from silicone elastomer and embedded with braided mesh, this artificial heart was then hooked up to an air tube to see how it would handle being inflated. When air was pumped into the PAM, it responded by twisting and thus becoming shorter. This is similar to what the natural fibers of the heart do, which contract by twisting and shortening. Several of the PAMs were then embedded within a matrix of the same elastomer from which they were made. Through a process of manipulating their orientation to one another, along with selectively applying different amounts of pressure, the researchers were able to get some of the PAMs twisting in one direction, at the same time that others twisted in the opposite direction. 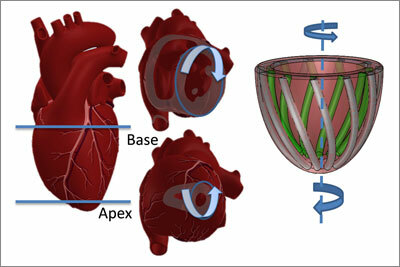 As a result, the silicone matrix exhibited the same three-dimensional twisting motion as the heart. The immediate applications for this are obvious; in short, creating a range of artificial hearts for patients who suffer from severe disorders or heart damage. 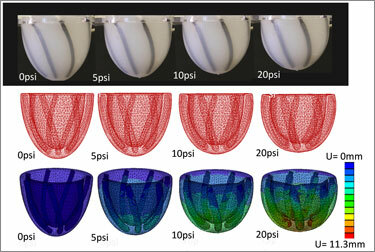 Unlike conventional artificial hearts, these ones would be able to provide pumping action similar to the real thing. In addition, the PAMs were able to mimic the change in motion that is caused by various heart disorders, and these could be used to help in the research of such conditions, not to mention the development of treatments for them. Equally exciting are the possibilities being offered by 3D printing which now offers a range of artificial replacements. 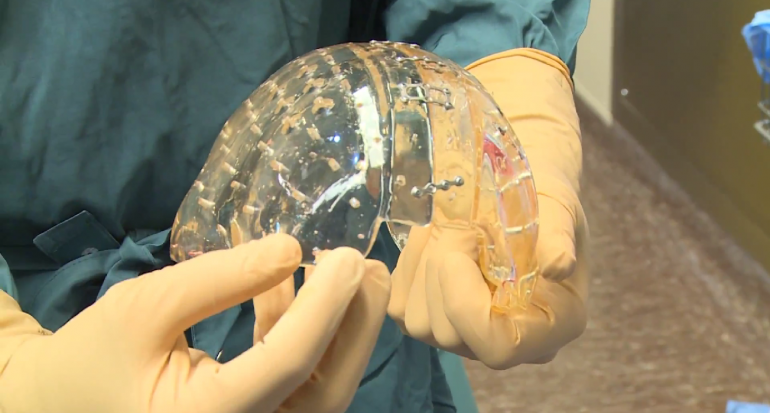 The latest example comes from the Netherlands, where a 22-year old woman has had the top of her skull replaced with a 3D printed implant. Due to a severe condition that causes a thickening of the skull, the patient was suffering from severe and worsening symptoms. And in a first of its kind procedure, she was given a tailor-made synthetic replacement. The thickening of the skull puts the brain under increasing pressure. Ultimately, she slowly lost her vision and started to suffer from motor coordination impairment. It was only a matter of time before other essential brain functions would have been impaired and she would have died. So intensive surgery was inevitable, but until now there was no effective treatment for such patients. So far, 3D printing has been used to produce lower jaw implants, prosthetic arms, legs, and cells (kidney, liver, and skin cells). In this instance, the skull was 3D-modeled and then printed as a single full piece that was able to be slotted and secured into place. 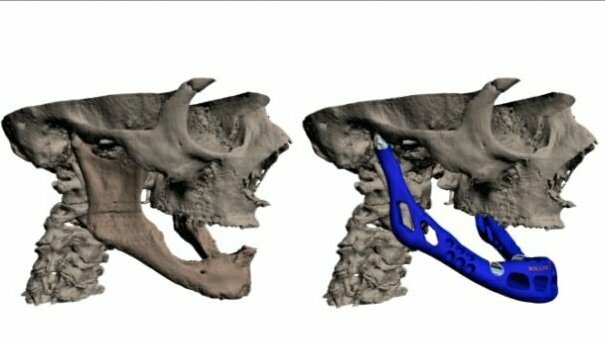 Prior to the procedure, Verwej and his team had to familiarize themselves with reconstructions and 3D printing, in particular that which pertained to partial skull implants. This has major advantages, not only cosmetically but also because patients often have better brain function compared with the old method. Verweij worked with an Australian company called Anatomics – which uses 3D printing to produce custom-made implants and surgical models for medical practitioners – to produce the replacement skull. The surgery, only just announced, was carried out three months ago and was a success. According to Verweij, the patient has fully regained her vision and has returned to her normal life. The work undertaken on the procedure means that UMC Utrecht is now is a position to carry out other similar work. The ability to tailor-make synthetic bones, which are exact duplicates to the original, offers exciting possibilities for reconstructive and replacement surgery. It also does away with some rather invasive and unsatisfactory procedures that involve putting shattered bones back together and joining them with pins, bars and screws. And considering that such procedures often require multiple operations, the combination of 3D scanning and 3D printed replacements is also far more cost effective. And be sure to check out the video below that shows the Utrecht procedure. Be warned, the video contains actual footage of the surgery, and is therefore not recommended for the squeamish! English subtitles are also available via the video controls. As always, it seems that additive manufacturing (aka. 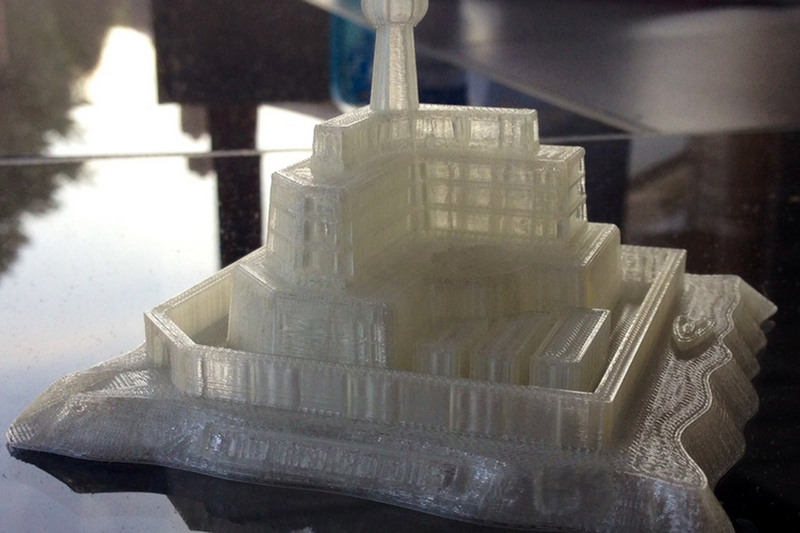 3D printing) is on the grow. On an almost daily basis now, the range of applications grows with the addition of yet another product or necessity. With each and every addition, the accessibility, affordability, and convenience factor associated with these objects grows accordingly. And with these latest stories, it now seems that things like household furniture and prosthetic eyes are now printable! Consider the BigRep One, a new design of 3D printer that allows users to manufacture full-scale objects. This has been a problem with previous models of printers, where the print beds have been too small to accommodate anything bigger than utensils, toys, models and small parts. Anything larger requires multiple components, which would then be assembled once they are fully printed. 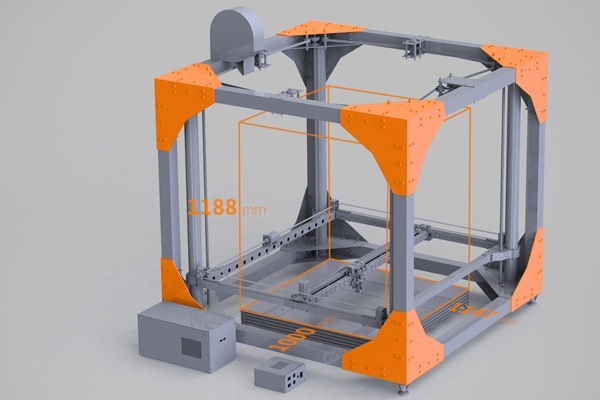 However, the BigRep One allows for a build volume of 1.14 by 1 by 1.2 meters (45 x 39 x 47 inches) – large enough to print full-scale objects. Developed by Berlin-based artist Lukas Oehmigen and Marcel Tasler, the printer is has an aluminum frame, a print resolution of 100 microns (0.1 millimetres), and can print in a variety of materials. These include the usual plastics and nylons as well as Laywood – a mix of wood fibres and polymers for a wood finish – and Laybrick, a sandstone-like filament. It is even capable of being upgraded with Computer Numerical Control (CNC) so that it can carry out milling tasks. One of the most obvious is the production of furniture and building materials, as the picture above demonstrates. 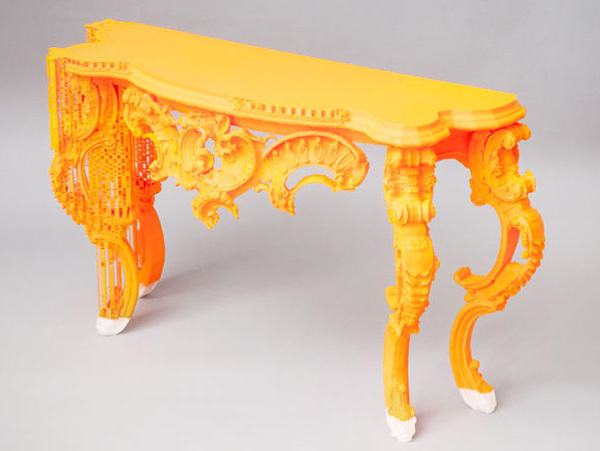 This finely detailed sideboard was created as part of the printers debut at the 3D PrintShow in New York. The printer itself and will start shipping to customers in March/April, with the suggested price is US $39,000 per unit. However, prospective buyers are encouraged to contact BigRep through its website in order to get an accurate quote. Next up, there’s the exciting news that 3D printing may be able to fabricate another type of prosthetic that has been missing from its catalog so far – prosthetic replacement eyes. Traditionally, glass eyes are time consuming to produce and can cost a person who has lost one (due to accident or illness) a pretty penny. However, UK-based Fripp Design, in collaboration with Manchester Metropolitan University, has developed a new process that offers greater affordability and production. Compared to the hand-crafted and meticulously painted eyes, which are made to order, this version of replacement eyes are much cheaper and far less time-consuming to produce. And unlike traditional versions that are made from special glass or acrylic, these ones are printed in full color on a Spectrum Z-Corp 510 (a professional industrial printer) and then encased in resin. 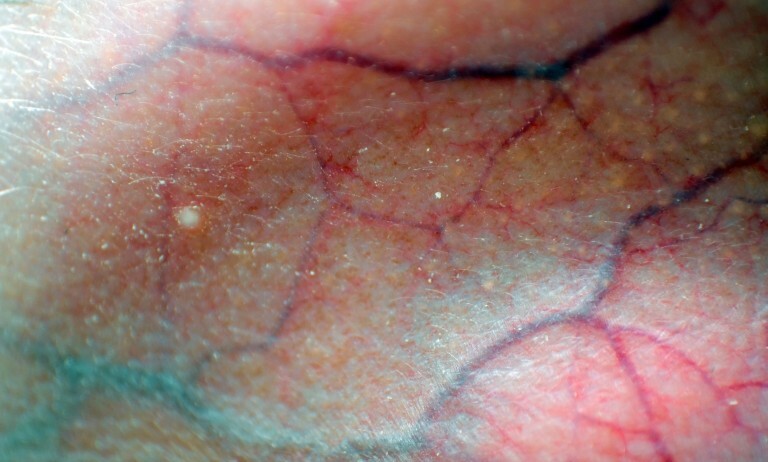 Each has a slightly different hue, allowing for matching with existing eyes, as well as a network of veins. The 3D-printed prosthetic eyes may be ready for market within a year and could be especially popular in developing countries. 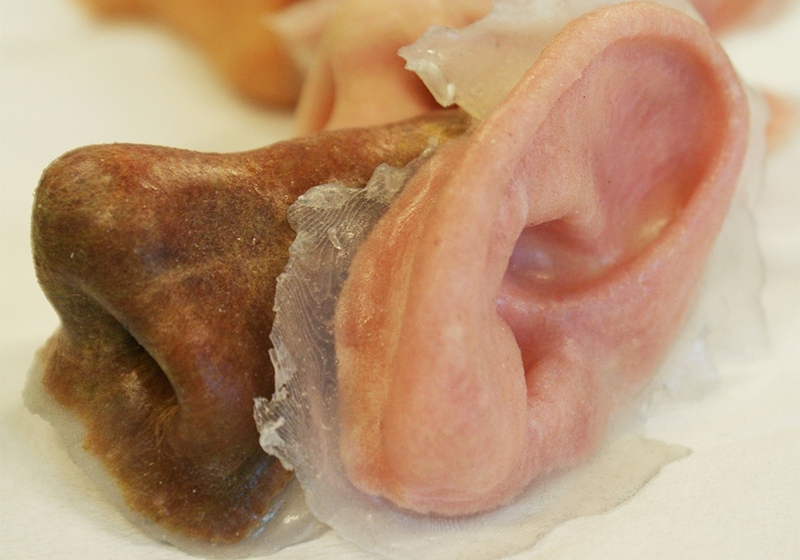 In addition to eyes, Fripp Design is known for its 3D printed replacement noses, ears, and skin patches; all of the replacement parts that are in high-demand but have previously been expensive and difficult to produce. But thanks to 3D printing, the coming years will see people who have been forced to live with disfigurements or disabilities living far more happy, healthy lives. Many thanks to Rami for putting me onto this story in the first place. Thanks Rami! For years now, proponents of additive manufacturing (aka. 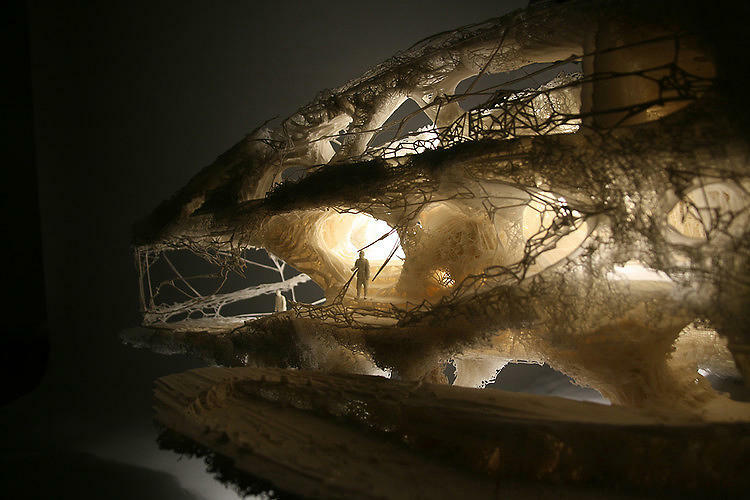 3D printing) have been looking for ways to expand the technology’s already impressive catalog to include the fabrication of buildings. Whether it is office buildings, apartment blocks, or individual houses, the next great leap for 3D printing is arguably the construction of entire domiciles – or at least the building blocks that go into making them. 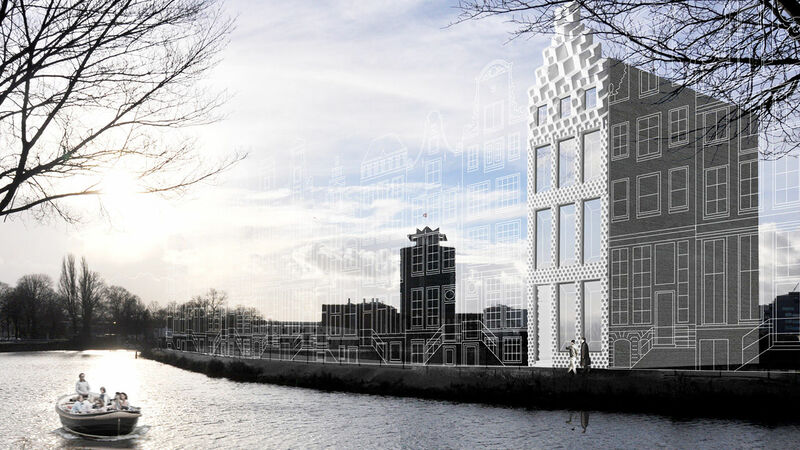 Such is the goal of Dus, a Dutch architect bureau that announced last year that it was seeking to create the world’s first 3-D printed home along one of Amsterdam’s many iconic canals. Known as the “3D Print Canal House” project, the plan was to break ground within sixth months, before two other firms got there first with their own new-age designs. Now, almost a year to the day later, they have launched their demonstration project. 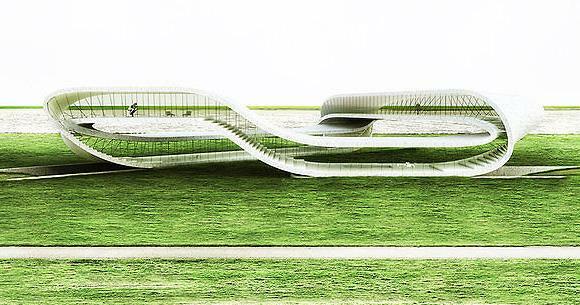 In the long run, it still remains to be seen who will be the first company to create an actual 3D printed home, and Dus’ is up against some stiff competition from companies like fellow Dutchman Janjaap Ruijssenaars with his Möbius-strip shaped Landscape House, and the London-based Softkill Design’s fibrous, naturalistic ProtoHouse. Both design concepts seek to utilize 3-D printing in order to save time, energy, and eliminate the waste that is associated with traditional construction. The Landscape House design calls for the economizing of space by turning the floor into the ceiling and the ceiling into the floor in an endless loop, providing all the living space a family needs while staying very compact. 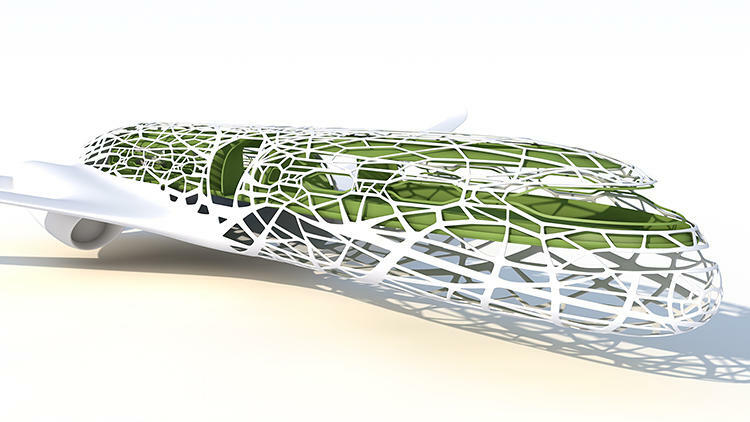 The latter concept looks like something out of the pages of a sci-fi novel – an organic, mollusk-like construction made out of fibrous threads of plastic that economize on weight and material usage. But unlike these other projects, which rely in part on traditional construction methods (such as poured concrete), the Dus concept is built by printing all of the home components onsite. This is done using a massive printer called the KamerMaker, a 6-meter (20-foot) tall “room-builder” that rests inside a shipping container. This ensures that the manufacturing center is portable and can fabricate all the necessary components on-site, removing a significant amount of transport. …a real architectural pavilion [that could play host to events]. 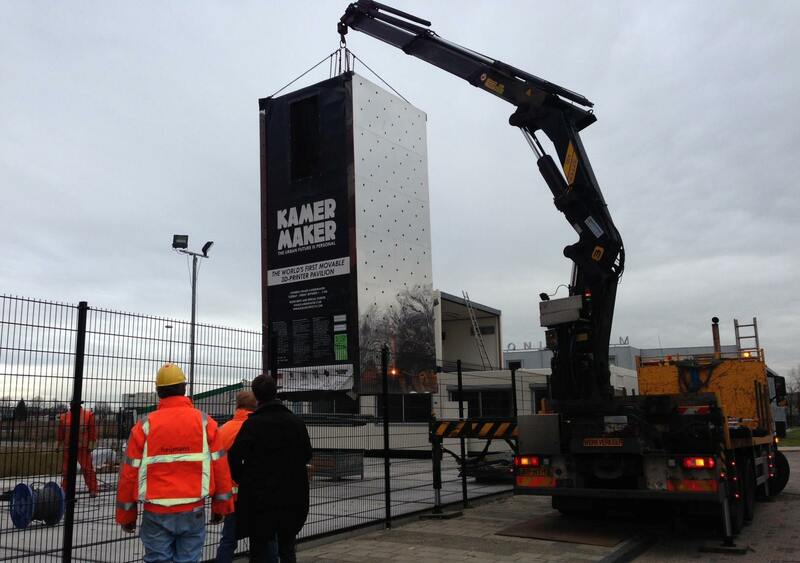 In other words: The KamerMaker itself is a pavilion, that can reproduce small pavilions! But ultimately, the goal of Dus’ demonstration project, which officially launched this month, is not so much to print a functioning house. 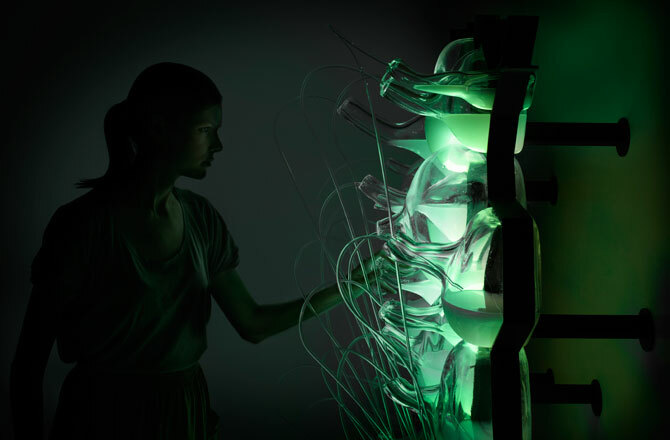 Rather, as Hedwig Heinsman – a Dus architect and co-founder of the company- explains it, the aim is to discover and share the potential uses of 3D printing in construction by creating new materials, trying out designs and testing building techniques to see what works. Heinsman also points out that parts of the house will likely be built and re-built several times over the next three years as 3-D printing technology develops. In the meantime, Dus has opened up an expo center at the site of the 3D Print Canal House so the public can witness the creation process and learn more about the technology involved. For those who may be in the of Amsterdam, tickets to the expo are € 2.50 (roughly $3.50 US/ $3.86 CA), and the hours of operation are available at their website.